Hey y'all! Mandee from The Kitchen Wife here. Its officially January and I, along with most everyone else, have made improving my overall health and fitness a priority. One of the easiest ways we can do that is through food. Maybe you're trying to eat low carb. Perhaps you're gluten free. Hey, you could just be trying to incorporate more vegetables into your diet. 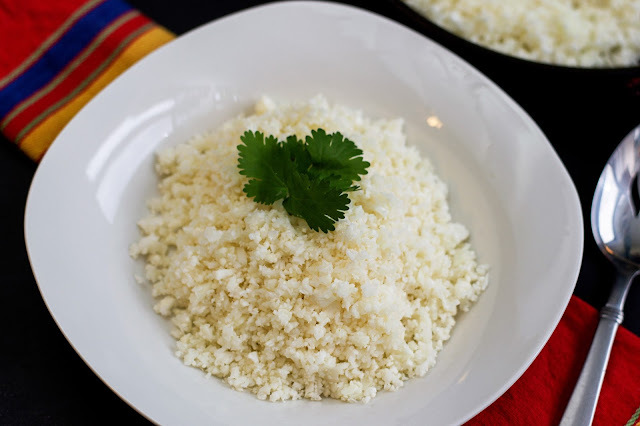 No matter what your New Year's eating plan is, cauliflower rice on the menu. To begin you will need to remove the core of the cauliflower and cut it into florets. Grate it with your box grater. Or, my preferred method, do it in your food processor. Gently pulse until you get the fine, rice-like, texture. You may have to do this in batches. And there you have it! 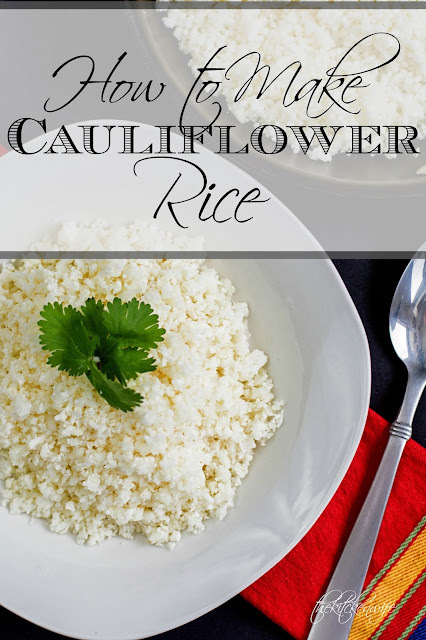 A GIANT batch of your very own cauliflower rice. You can use it right away by sautéing it in a pan with a little olive oil, salt, and pepper for about five minutes, until tender. You can also put it in a resealable bag and freeze it. To reheat, place into a microwave safe bowl and cook for 3-5 minutes. 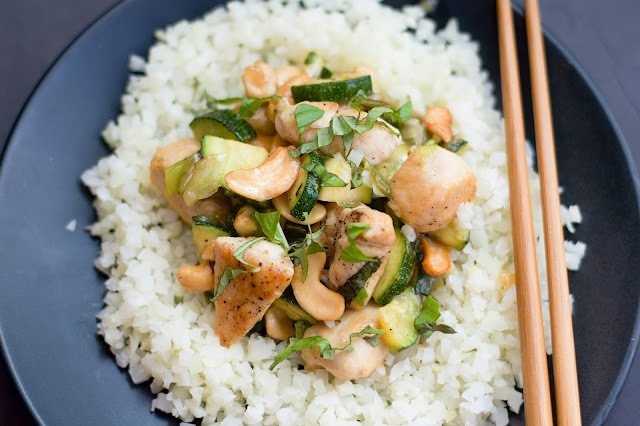 And here is a mouthwatering example of my Thai Cashew Chicken and Zucchini Stir Fry, where I use this cauliflower rice in place of the tradition grain. So this year, wether you are trying to eat better, or simply sneak some more veggies into your child's diet, give this Homemade Cauliflower Rice a try! Remove the core of the cauliflower and cut into florets. From there you can either chop finely with a chef's knife, grate with a box grater, or pulse a food processor. Add 2-3 Tbsp of extra virgin olive oil to a hot pan. Add the cauliflower rice to the pan. Cook for 5 minutes until tender. Place into a freezer-safe, resealable bag. Place into a microwave safe bowl. Cook in the microwave for 3-5 minutes, stirring half way through.